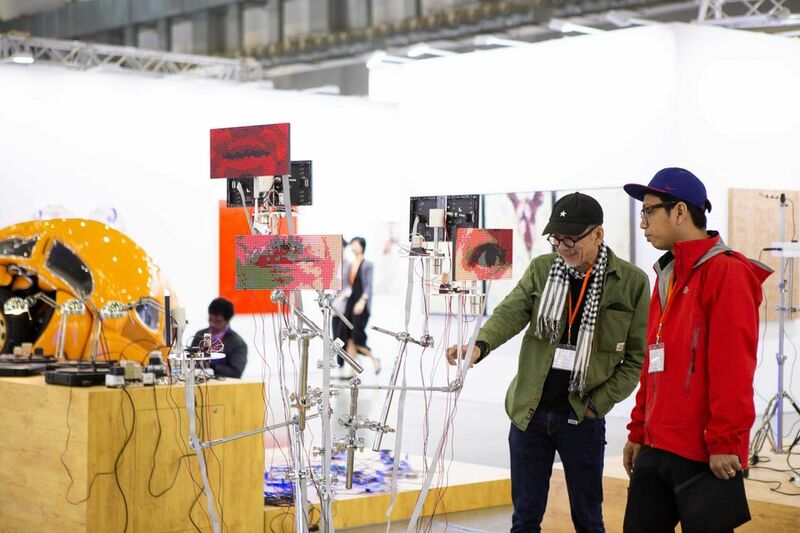 The fair floor of the inaugural edition of Taipei Dangdai (17 to 20 January) was a gentle hum its first two days, seemingly incongruent with its ample crowds and brisk sales. Dealers used to the boisterous scrums of Shanghai and Hong Kong fairs exclaimed at the respectful quiet and orderly queues, reflections of a society that, like its art market, boasts an underappreciated maturity. “Taiwan’s economy is pretty stable. 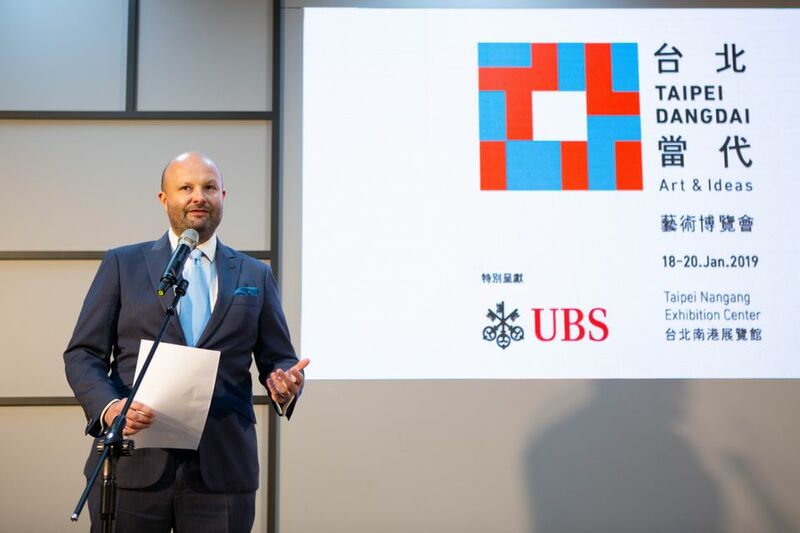 It hasn’t been great since the 1980s or 90s, but people here always see art as a reliable asset,” says Shasha Tittmann, director of Lehmann Maupin’s Hong Kong space, which previously exhibited at the long-running local fair Art Taipei six years ago, and is among the 90 galleries participating in the first edition of Taipaei Dangdai at the Nangang Exhibition Center in the Taiwan capital’s eastern outskirts. Tittmann notes that Taiwan’s art market has warmed up to contemporary art since 2013. Collectors in Taiwan are “fantastic” and “very consistent”, she says, as they favour “a certain aesthetic, such as new media, works that are fresh, like Lee Bul and Angel Otero”. Organised by Angus Montgomery, Tim Etchells and Magnus Renfrew, who is also the director, and backed by UBS, the inaugural edition of Taipei Dangdai (the Mandarin term for contemporary art) has drawn Western gallery heavyweights like Lehmann Maupin, as well as Hauser & Wirth, Gagosian and David Zwirner. They’re joined by many of Asia’s giants like South Korea’s Kukje and Taipei’s Tina Keng, along with an array of respected mid-size and smaller galleries from both regions. Renfrew stresses that Taipei Dangdai is focusing on attracting primarily local Taiwanese collectors as “there is huge wealth in Taiwan”. Globally it is the seventh largest country in private wealth management and 11th in ultra-high net wealth, with a long history of art collecting. There are significant collectors of Chinese antiquities, Chinese modernism and Western impressionism. There has, however, been a tendency to specialise in one or the other and a preference for purchasing works at auction. Amidst the global turnout, indeed it was largely Taiwanese collectors doing the major buying. “It is all Taiwanese, we don’t need the tourists,” observes Leo Xu, director of David Zwirner’s Hong Kong gallery. “And these are not people we see in Hong Kong.” On the fair’s opening day, Zwirner’s sales included a Yayoi Kusama painting for over $1m (USD), a work by Wolfgang Tillmans for $350,000, and Neo Rauch paintings for $325,000 and $650,000, with several more works on reserve, all to Taiwanese collectors. 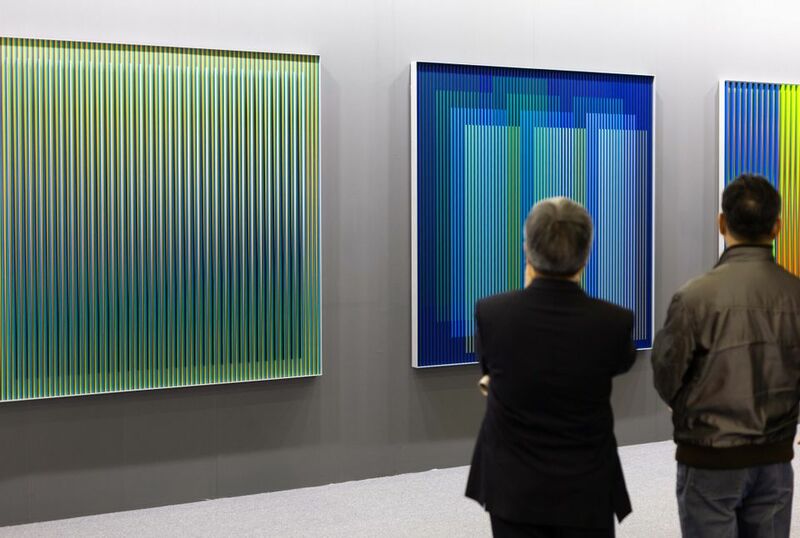 Day one also saw Hauser & Wirth’s solo presentation of late German abstract painter Günther Förg sell six acrylics ranging from $27,000 to $540,000, and Kukje’s solo booth of South Korean conceptualist Haegue Yang sell four works ranging from $17,000 to $73,000. Fair organisers had advised in advance that Taiwanese collectors tend to be contemplative and cautious, though a few galleries described the opposite experience. Many dealers remarked that they had serious inquiries and reserves, but fewer finalised sales. Tittmann agrees, noting that she has found Taiwanese buyers like to do a bit of research before purchasing, “but once they commit they are very committed, and it is a long-term game”.